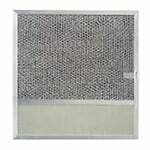 The RangeAire F610-039 Compatible Round Aluminum Air Filter removes grease from kitchen air. 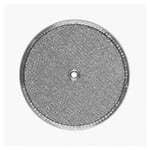 The American Metal Filter RLP0701 Combo Range Filter has a light lens built into the filter allowing light to shine on the cooking surface. 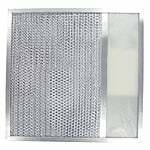 The RangeAire 610049 Compatible Grease/Odor Filter With Lens has a light lens built into the filter, which allows the light to shine on the cooking surface. 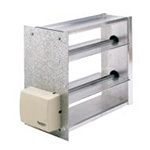 The RangeAire 610046 Compatible Grease Filter With Lens is a combination aluminum and carbon-poly range hood filter that filters grease and odors. 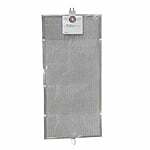 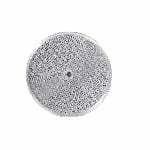 The RangeAire 610050 Compatible Microwave Filter With Lens is a combination aluminum and carbon-poly range hood filter, that filters grease and odors. 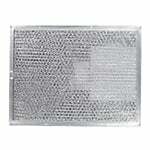 The AMF RLP1102 Replacement for Whirlpool 883149 Compatible Grease Filter With Lens has a built in lens that allowing light to shine on cooking surfaces. 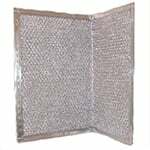 The American Metal Filter RLF1126 Grease Filter with Lens is used in ducted range hoods to remove grease from the air. 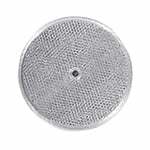 The American Metal Filter RLF1203 Range Filter With Lens has a light built into the filter allowing light to shine on the cooking surface. 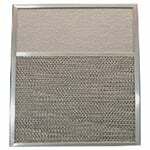 The AMF RLF1126 Replacement for Whirlpool 8190231 Grease Filter With Lens is a compatible filter is used in ducted range hoods to remove grease from the air. This standard range hood filter is washable and has a light built into the filter.